Fire Sale In FLA! Delphine IV Gold Cup Racer…And More. 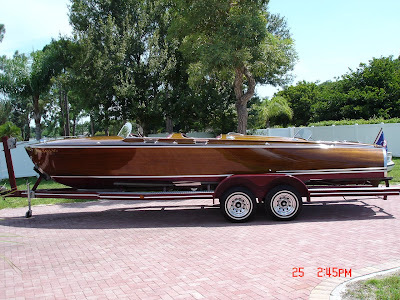 Thanks to WoodyBoater Scott, we can link you to a great deal on a very cool boat. Click here. You will also see a very nice Morin triple. Both boats restored by Fish Bros. Dang!